Melbourne is consistently voted one of Australia’s most liveable cities, and is the perfect place to study English, experience the culture of Australia and meet people from around the world. Located just 8km from this vibrant, cosmopolitan city, Hawthorn-Melbourne (CRICOS 02931G) has been helping students meet their English language goals since 1986. Why study English with Hawthorn-Melbourne? 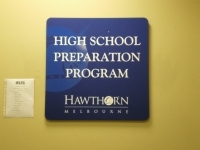 • Hawthorn-Melbourne offers a great variety of courses to meet the needs of our students. • Great nationality mix of students – we have over 50 different nationalities represented in our student body each year. • SCOPE - The social program of Hawthorn. Through SCOPE, the students can participate in a series of social activities, make new friendly, meet Australians, join local clubs and gain the confidence that needs to be successful in their learning of the English Language. 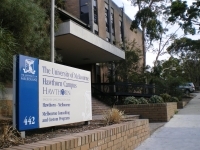 Hawthorn-Melbourne is endorsed by the University of Melbourne as a provider of intensive courses of English for international students in Melbourne. 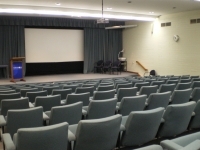 The High School Preparation Program is a specialised program for international students who wish to study in an Australian high school. The program aims to develop students’ academic language proficiency enabling seamless entry into secondary school. 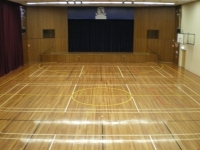 The classroom environment of the High School Preparation Program mirrors that of the Australian secondary school system to the largest extent possible. Students are encouraged to discuss their ideas, to work co-operatively and to develop their individual research and study skills. • careful and considered homestay placement. Host families undergo police checks, home visits and regular monitoring by the Hawthorn-Melbourne accommodation staff.